Hugh Jackman’s our most wanted! He’s up for the Best Actor gong at the Oscars tomorrow, but Hugh Jackman has won an even bigger accolade. The Aussie actor has topped a poll of actors who women would be most likely to ditch their husbands for! Well, would you say no? 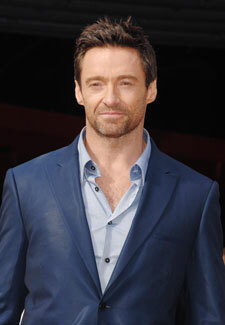 However Hugh, 44, is happily married to wife Deborra-Lee Furness, and has two adopted children with her, Oscar and Ava. Hugh will be joining the rest of the cast of Les Misérables to perform songs from the musical at the Awards tomorrow.